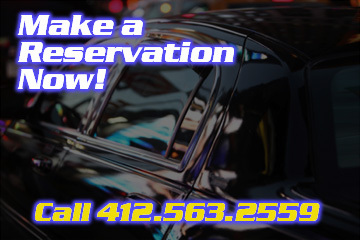 DDLimo is a family-owned business serving the Greater Pittsburgh area. The company was started in 2004 to offer a better alternative to the lackluster and nearly non-existent cab and ride share services in the surrounding suburbs. Even in the age of Uber, our customers have come to prefer using a service that provides safe, professional drivers to get them where they want to go. They call DDLimo! Have a group up to 14 passengers? Check out our new Party Bus! Be the DJ thru our Bluetooth sound system and watch the song lyrics on the screen. The Party Starts Here!! DDLimo does not rent its vehicles out by the hour, but instead on a per trip basis, saving our customers, in many instances, hundreds of dollars. We are a pickup and drop-off service only and operate in all of Allegheny County as well as some communities in Washington and Butler County. Our drivers are professionals — not someone that decided to make a few extra bucks mere hours before pulling up to your home. Our drivers have an average of three years of experience and know the city and county inside and out. Travel smart and travel safe with our trusted team. Each of our limos have a Bluetooth sound system so you can program the soundtrack for your ride. Just sync your device and let the party begin!